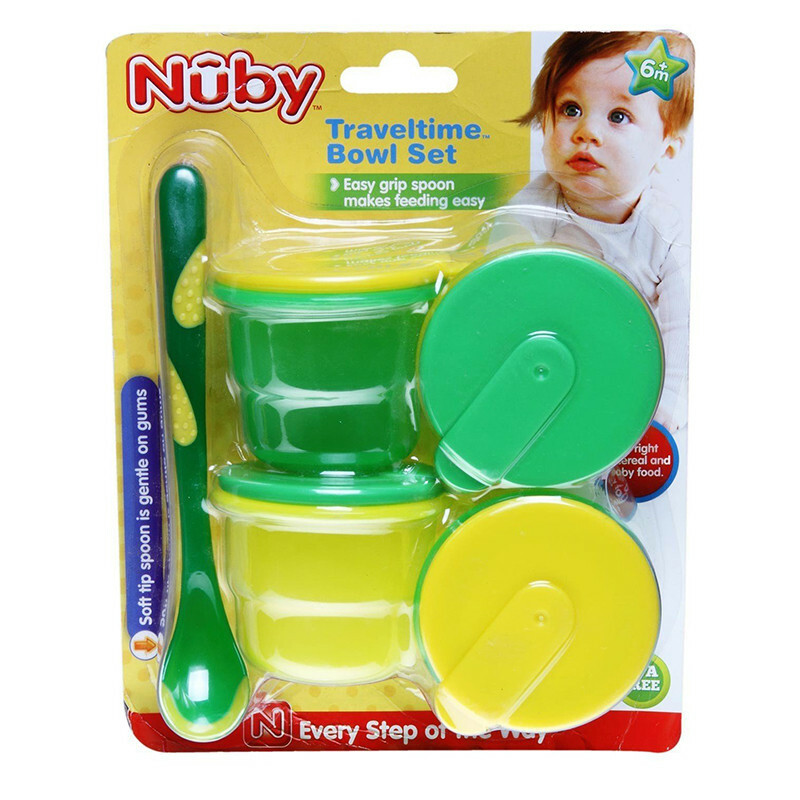 All Nûby™ products are made of safe, durable, nontoxic materials and exceed all government safety regulations and standard and specially designed spoon makes feeding easier for mom and baby. These bowls are made of tough break resistant polypropylene and sized to fit a child’s grasp. The bowls are dishwasher, microwave and freezer safe. Bowls are conveniently sized, just right for dry cereal and baby foods. The tops keep snacks fresh until ready to eat. These bowls are great to use as snack cups for travel as well as storage. The bowls/cups are not intended for use with liquids. These bowls come complete with a uniquely designed long handle spoon which helps make feeding time easier for mom and baby. This spoon has an easy-slide bottom to ensure smooth movement over any dish surface. Its long handle design makes reaching the bottom of taller baby jars and storage bowls convenient and clean.